Enjoying your pool all year round is a dream of all pool owners, however it’s not always inviting come June! There are a few options for enjoying your pool from the summer months through to the chilly winter weeks, from solar or electrical heating systems, to building a beautiful outdoor pool enclosure, there are definitely options that will see you and your family enjoying the water all year round. There are several benefits to building a pool enclosure, they can add value to your property, give you room to entertain outside all year round, and save on running costs as dust, dirt and debris are minimised, reducing the need for the filter to be running as often. Heating costs for pools with an enclosure are also significantly reduced, as the heat doesn’t escape as quickly and evaporation is minimised, ensuring your pool is the perfect temperature and crystal clear whenever you feel like taking a dip. Pool enclosures are built with a variety of materials and should always have child safety locks fixed on them. They are a more expensive option to heating systems, however they offer a great amount of usage and entertaining all year round. Solar pool heating is an extremely popular choice as it far more cost effective to use the sun’s natural rays to heat your water than energy. Most solar heaters work by having a series of tubes on the roof of the property and cycling the water through throughout the day as the sun heats the tubes. Solar heating systems often use a digital thermostat which regulates how often the water is circulated from the heated tubes on the roof, into the pool, increasing the temperature. 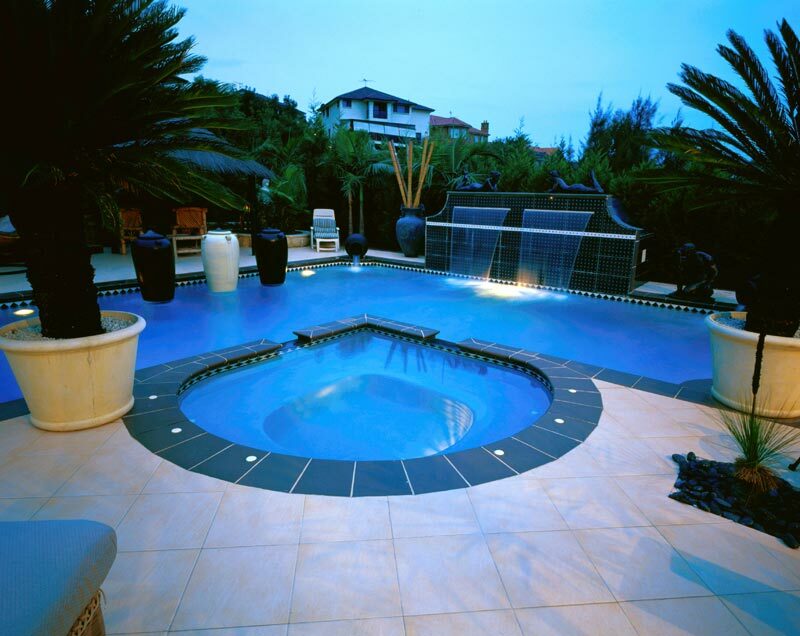 Once the pool water is at the ideal temperature, the circulation changes to maintain the temperature. While solar heaters are a popular choice for many pool owners, it is largely dependent on weather conditions and will extend your swimming season, without warming it enough to swim through winter. Solar heating favours north-facing roofs that get maximum sun exposure. Electric heating using an element works much like a kettle. As the element heats up, the water is warmed through the direct transfer of heat to the water. This will warm the pool all year round and ensure you get the most from your backyard pool. Electric element heaters are more expensive to run than solar, however you will get more year round use. Whatever method you decide to go with for extending the swimming season of your backyard pool, consider the upfront costs, running costs and the duration of swimming time the heating system will afford you.